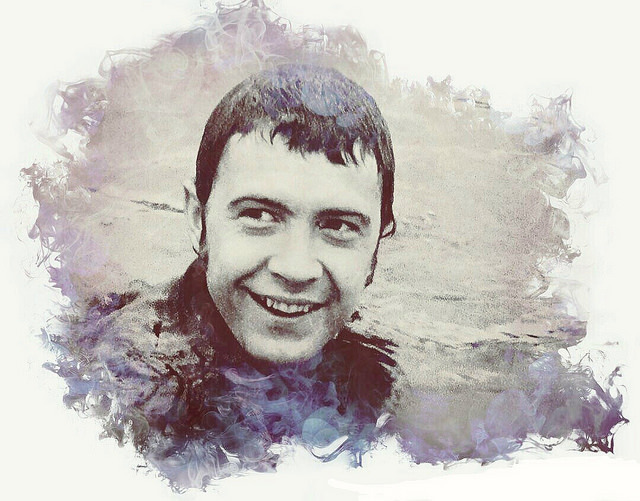 #163....."LEWIS COLLINS" - BODIE 3.7 . you'll never walk alone ! Many thanks for this perfect smile. It makes me smiling. And nice effect. you are very welcome and i love his smile in this shot , it's lovely to see. Glad you like the image and thankyou for looking. Nice effect! He does seem to be having fun. Thank you! Thankyou so much for liking this image and i do love him when his fun side makes an appearance. it's a gorgeous vision isn't it and i love him when he is in such a happy mood and his smile is infectious. oh most definitely and i love him when he smiles in this way ...it lights up the screen. Thankyou so much for looking and commenting. I love it how young he looks in this picture. And I like what you did with it. yes your icon is spot on..such a beautiful smile and he looks so happy and playful. Thankyou so much for looking and leaving a comment. Glad that you like it. Thankyou so much and i'm so pleased that you like it...his smile is very infectious and lovely to see him looking so hapoy. I love this! It's nicer than the original photo - the effect you have used here is great. awww thankyou so much for such a lovely compliment, i love him when he looks at Doyle with such a sweet smile on his face..... bless him. I love that cap and what you have done with it. Such a natural look and WOW that smile! bless him ...his smile is so infectious and he looks beautiful. I'm glad you enjoyed viewing it and thankyou for looking.